Learn more about the people, economies and societies, and political and religious institutions impacted by cultural exchange as The Silk Roads shares primary documents from ancient China, India, Central Asia, Rome and the Mediterranean, and the Islamic world. Court histories, geographies and philosophical treatises, letters, travelers' accounts, inventories, inscriptions, laws, religious texts, and more, introduce yous to the complexities that occured for over 1500 years along the overland trails and sea lanes which carried more than just goods. Rome's Trade to the East, First Century BCE-Second Century C.E. .The Oasis Towns of Central Asia and the Spread of Buddhism, Third-Seventh Centuries C.E. The Byzantine Empire and Silks in Royal Purple, Sixth-Ninth Centuries C.E. The Tang Empire and Foreign Traders and Priests, Eighth-Tenth Centuries C.E. Muslim Baghdad in the Eurasian Market, Ninth-Eleventh Centuries C.E. Trade Networks from the Mediterranean to the South China Sea, Tenth-Thirteenth Centuries C.E. 1. China's Trade on the Western Frontier, Second-First Centuries B.C.E. 1. Sima Qian, Records of the Grand Historian of China, Early First Century B.C.E. 2. Ban Gu, History of the Former Han Dynasty, Late First Century C.E. 3. Documents Excavated from Juyan Fort on the Great Wall, ca. 103 B.C.E.-40 C.E. 2. Rome's Trade to the East, First Century B.C.E.-Second Century C.E. 4. Strabo, The Geography, Early First Century C.E. 5. Arrian, The Campaigns of Alexander, ca. 145-60 C.E. 6. Pliny, Natural History, 77 C.E. 7. The Voyage around the Red Sea, First Century C.E. 8. Ptolemy, The Geography, Mid-Second Century C.E. 3. The Kushan Empire and the Influence of Buddhism, Second Century B.C.E.-Second Century C.E. 9. The Questions of King Milinda, ca. 166-150 B.C.E. 10. The Lotus of the True Law, First Century B.C.E.-First Century C.E. 11. The Amitabha Sutra, First Century B.C.E.-First Century C.E. 12. Votive Inscription on a Silver Plaque from Taxila, First-Second Centuries C.E. 4. The Oasis Towns of Central Asia and the Spread of Buddhism, Third-Seventh Centuries C.E. 13. Documents Excavated from the Ruins of Niya, Third Century C.E. 14. Nanai-vandak, Letter to the Noble Lord Varzákk, ca. 313 C.E. 15. Faxian, A Record of the Buddhist Kingdoms, ca. 416 C.E. 16. Song Yun and Huisheng, The Mission of Song Yun and Huisheng, ca. 547 C.E. 17. Huili and Yanzong, The Life of Xuanzang, ca. 664-688 C.E. 18. Inventories Excavated from a Turfan Cemetery, Mid-Seventh Century C.E. Tang Zhuanghui, ca. 641 C.E. 5. The Byzantine Empire and Silks in Royal Purple, Sixth-Ninth Centuries C.E. 19. Procopius, History of the Wars, ca. 550 C.E. 20. Procopius, The Secret History, ca. 550 C.E. 21. The Book of the Eparch, ca. 895 C.E. 6. The Tang Empire and Foreign Traders and Priests, Eighth-Tenth Centuries C.E. 22. Zhang Zhuo, Anecdotes from the Court and the Country, ca. 705 C.E. 23. Jingjing, Inscriptions from the Nestorian Stele, 781 C.E. 24. 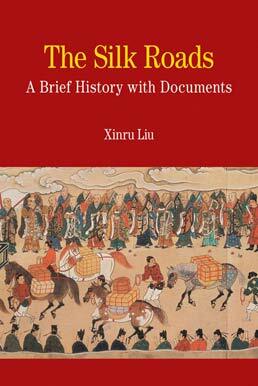 Liu Xu and Others, The Old Tang History, 941-45 C.E. 7. Muslim Baghdad in the Eurasian Trading Market, Ninth-Eleventh Centuries C.E. 25. Sulayman al-Tajir and Others, An Account of China and India, ca. 851 C.E. 26. Mas'udi, The Meadows of Gold: The Abbasids, ca. 947 C.E. 27. Book of Gifts and Rarities, eleventh century C.E. 8. Trade Networks from the Mediterranean to the South China Sea, Tenth-Thirteenth Centuries C.E. 28. Captain Buzurg Ibn Shahriyar, The Book of the Wonders of India, 953 C.E. 29. Inscription on a Cliff in the Port of Quanzhou, 1183 C.E. 30. Ibn Jubayr, The Travels of Ibn Jubayr, ca. 1185 C.E. 31. Letter from a Jewish Trader in India to His Wife in Cairo, 1204 C.E. 32. Zhao Rukuo, Records Concerning Foreign Countries, 1225 C.E. 33. Marco Polo, The Travels of Marco Polo, the Venetian, ca. 1298 C.E. 34. Song Lian and Others, History of the Yuan Dynasty, 1370 C.E. Xinru Liu (Ph.D., University of Pennsylvania) teaches world history, the history of South Asia, and the history of Central Asia at the College of New Jersey in Ewing. She is associated with the Chinese Academy of Sciences Institute of History and Institute of World History. Among her many publications are The Silk Road in World History; Connections Across Eurasia: Transportation, Communications, and Cultural Exchange on the Silk Roads with Lynda Norene Shaffer; Silk and Religion: An Exploration of Material Life and the Thought of People in A.D. 600 –1200; and Ancient India and Ancient China.